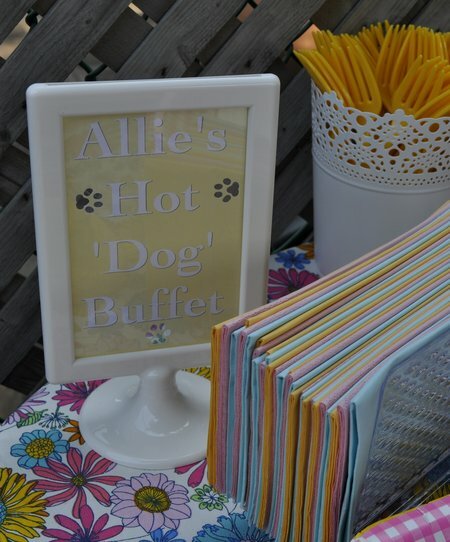 Puppy Dog Themed Party Food: A “Hotdog” Buffet, water bowl jello, bone cookies, and more. 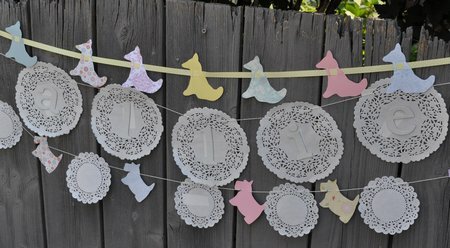 I’ve been sharing my little friend Allie’s puppy dog party with you and today I’d like to show you all the wonderful food. 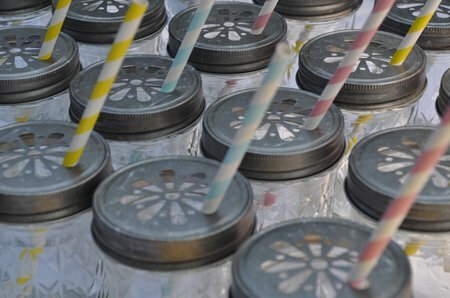 The drinks table was so pretty. 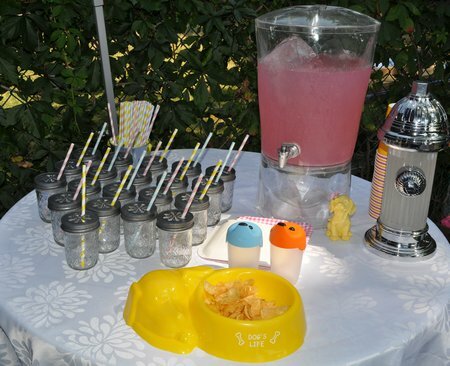 Allie’s mom, Heather, set up lemonade and mason jars with daisy tops and paper straws. They were so pretty! Heather and I were out shopping one day and we spotted this fire hydrant drink dispenser on sale! 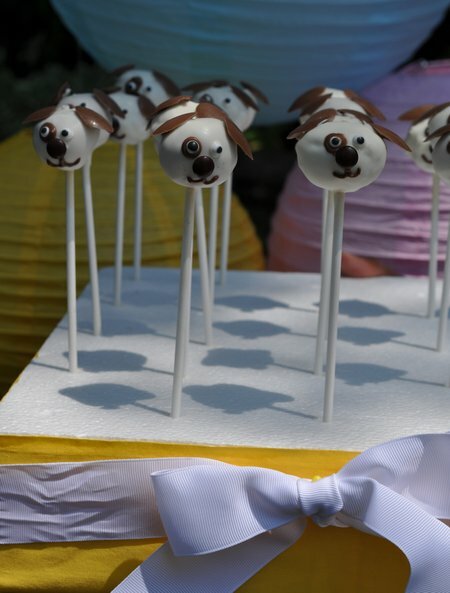 So perfect for a dog themed party, she couldn’t resist. 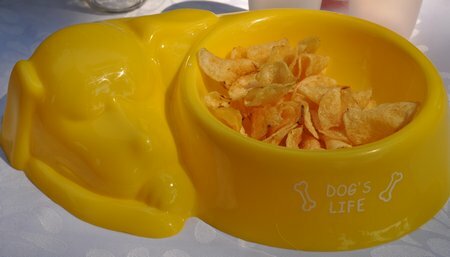 There was also a cute yellow dog dish with chips for munching on. 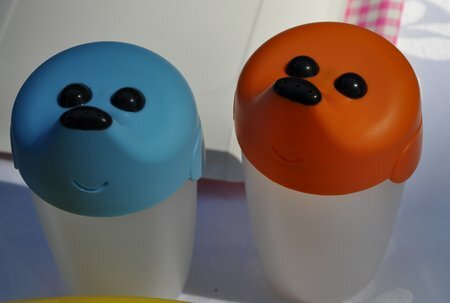 The two little puppy dog sippy cups are from IKEA and were for some of the toddler guests at the party. 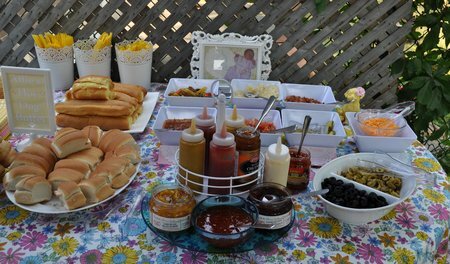 For lunch there was a hotdog bar -get it, hotdogs, dog party! 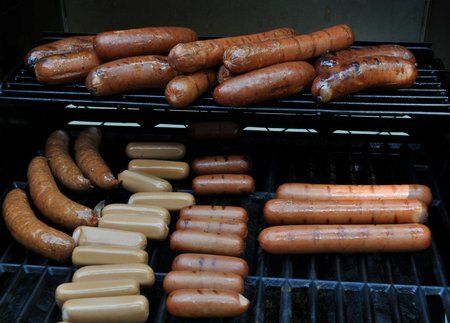 Heather has all kids of hotdogs, veggie dogs, mini hotdogs and sausages, and every topping imaginable too. It was delicious. 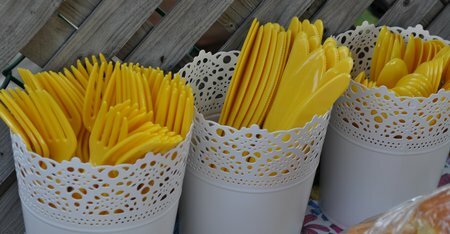 The cutlery was in these cute IKEA plant pots, that echoed the paper doily details. 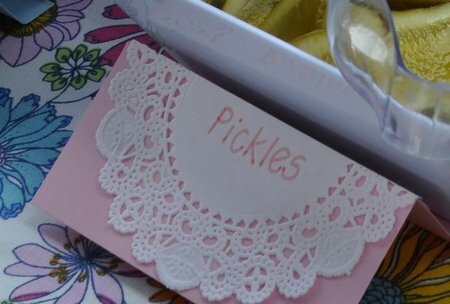 Heather also made the sweetest food labels out of scrapbook paper and more paper doilies. 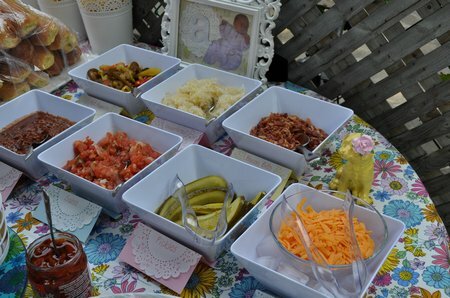 Along with the hotdogs, there was a table of beautiful side dishes. 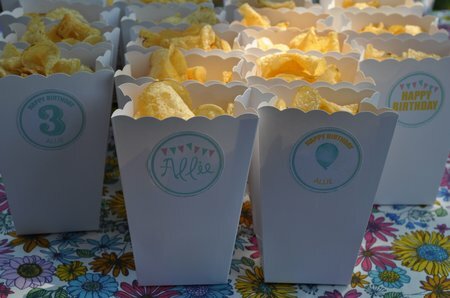 There were chips, in these cute cardboard containers decorated with the party printables from here. 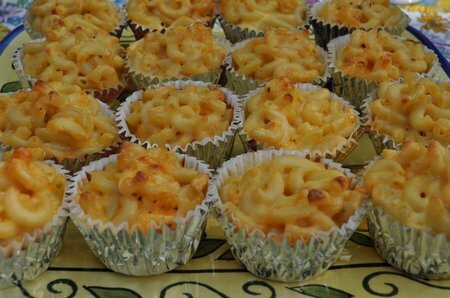 Heather also served little mac and cheese cupcakes -perfect hand-held party food. 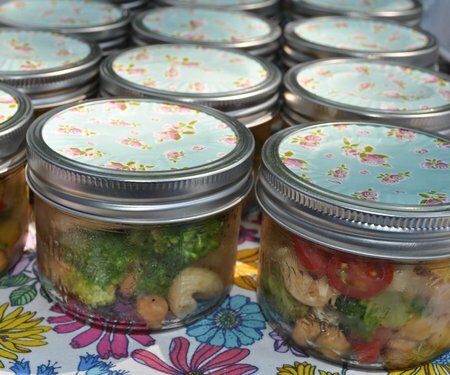 There was also a yummy pasta salad, served in mason jars. 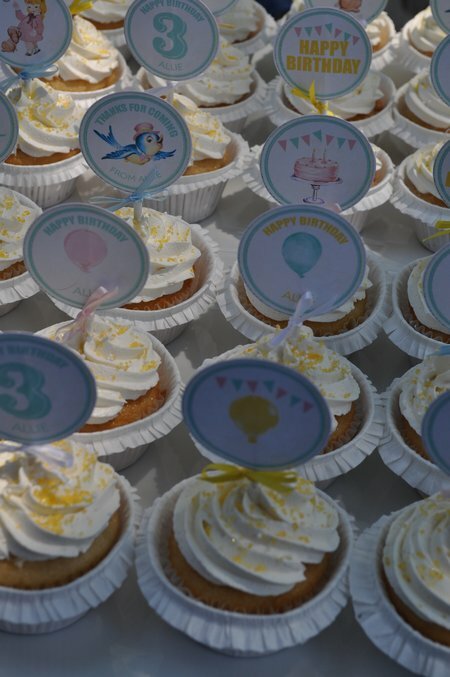 I love how she used a cupcake liner on top of the lid -such a pretty detail. 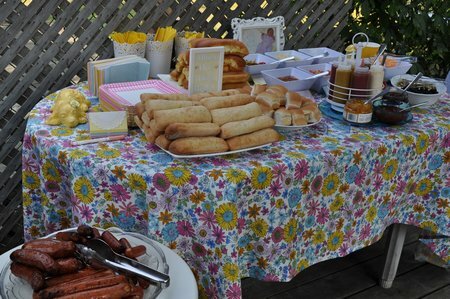 And saving the best til last, the puppy dog desert table was amazing. 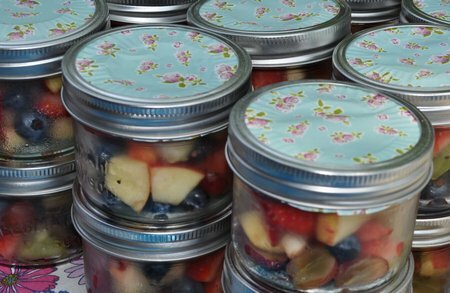 There was also fruit salad served in a mason jar. 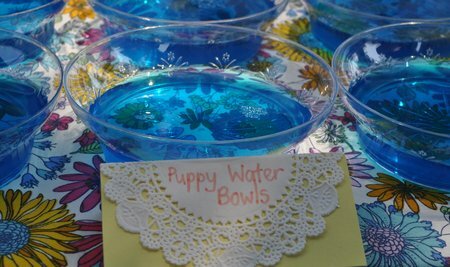 Another fun addition were these “puppy water bowls” made with blue jello. There were so cute and the kids loved them. 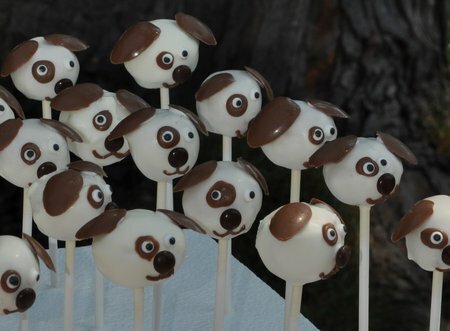 I made these cute little puppy dog cake pops, see how I made them here. Heather also made her famous sugar cookies. 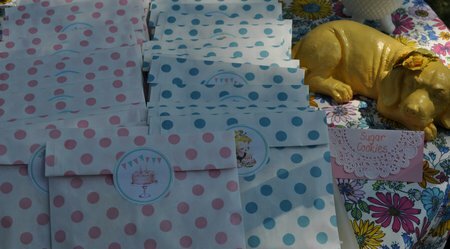 She packaged them in these lovely paper bags in the party colours, and sealed them with stickers she made from the party printables. 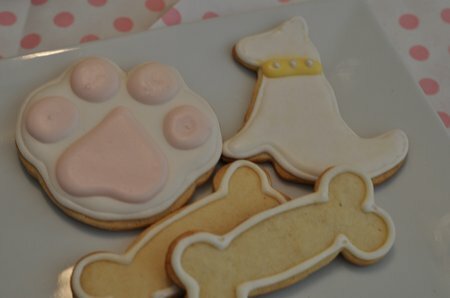 Inside were the beautiful cookies; puppy dogs, with pretty pearl collars, dog bones, and paw prints. 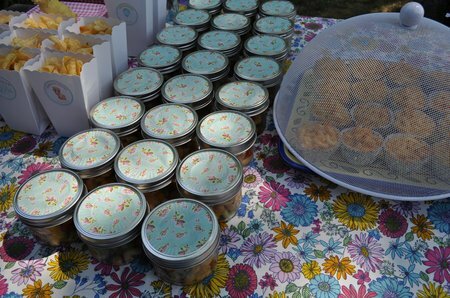 They were so delicious, and easy for guests to take home in their little bags. 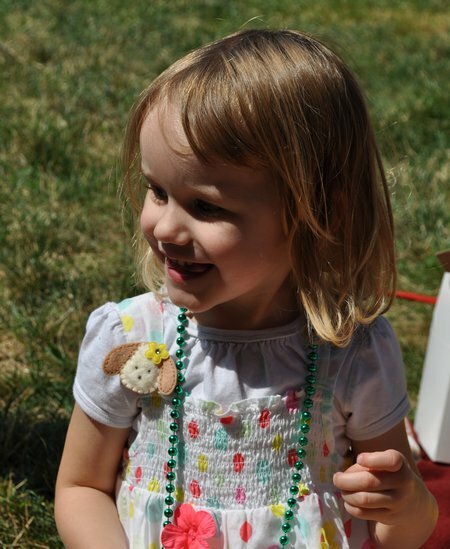 Happy Birthday Allie! 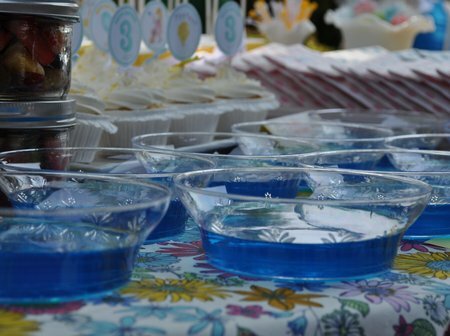 It was truly one of the sweetest parties I’ve ever been to. 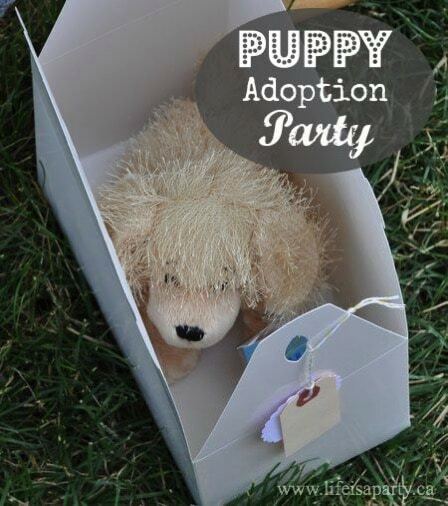 With the best puppy dog party ever, life really is a party! 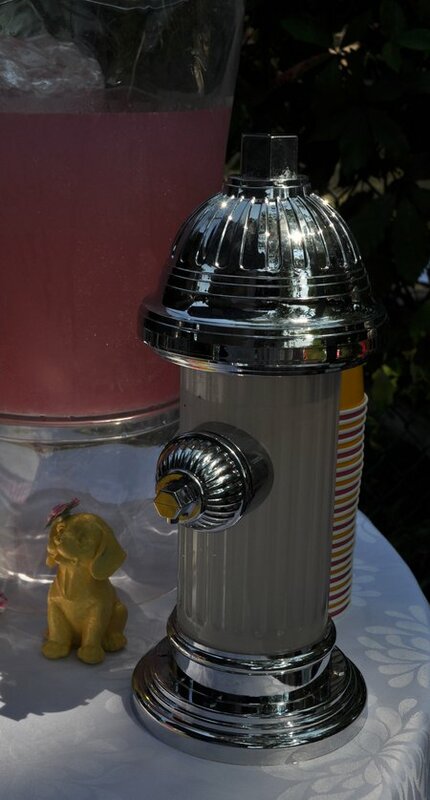 What store did you get the fire hydrant drink dispenser? So cute. 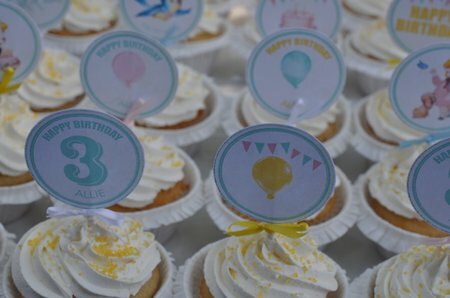 Loved everything about the party. So many lovely details. Hi Lisa, The fire hydrant drink dispenser was from Zellers, a Canadian store, at their going-out-of-business sale, it’s now become Target. I hope you can find it somewhere else, best of luck. I think my friend bought it at Ikea, but this party was several years ago so they no longer carry it. Sorry, best of luck with your shopping.